Living proof that skill can defeat size, Stephen Curry was actually denied a scholarship by his college of choice (Virginia Tech), and opted to play for little-known Davidson University, who aggressively recruited the then-160lb guard. By his sophomore year, Curry was putting up Sportscenter-worthy highlight performances, setting a record for the most three-point field goals made in a season (162), and even winning an ESPY award along the way (for Breakthrough Player of the Year). But it was his junior year in which Curry really started to become a legend, after leading the nation in scoring with 28.6 points per game, and being named a consensus first-team All-American. Long before he was dunking over cars or making commercials for basically any company that paid him, forward Blake Griffin was the highest-rated recruit ever to enroll at the University of Oklahoma; luckily for the Sooners, Griffin chose to stay locally, after winning four Oklahoma state basketball titles. While his successful rookie season in Norman was cut short due to injuries (stop us if you’ve heard that before about Griffin), as a sophomore, Griffin swept all six of the national player of the year awards for college basketball players, averaging 22.7 points, 14.4 rebounds, and 2.3 assists per game. His 504 rebounds in one year fell short of the record set by Larry Bird in 1979, and his 14.4 rebounds per game fell just short of Tim Duncan’s all-time mark in 1997 (14.7). A first-team USA Today and Parade All-American coming out of the famed Oak Hill Academy in Virginia, speedy point guard Ty Lawson helped the Tar Heels win the ACC Tournament in his freshman year, and earn a berth in the Final Four. After opting to stay in school after his sophomore season, Lawson finished his junior year as a First-Team All-ACC selection, a second-team All-American, the ACC Player of the Year, and the winner of the Bob Cousy Award (given to the nation’s top point guard). 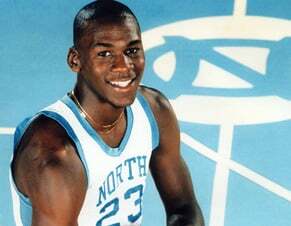 Lawson and the Tar Heels would win the National Championship in 2009, Lawson’s final season at UNC. After a highly successful high school basketball career in Chicago, forward Evan Turner was recruited by several schools in the Big 10 Conference, but eventually chose to play at Ohio State. Turner led the the Buckeyes to winning the 2008 National Invitation Tournament (NIT) as a freshman, and after showing significant signs of promise as a sophomore, Turner became a bona fide college basketball star as a junior during the 2009-2010 season. By the end of the year, Turner swept virtually every single award available to college basketball players, and was named a First-Team All-American and the Big Ten Conference Male Athlete of the Year. At the University of Connecticut, guard Kemba Walker went from a rather disappointing five-star recruit over his first two years in Stores, to the nation’s leading scorer and a Consensus First-Team All-American in his junior year. Leading the nation with 26.7 points per game, Walker was named the winner of the Bob Cousy Award — given to the top point guard in the nation — and led the Huskies to a National Championship in 2011. Even though he finished second to Jimmer Fredette in the College Basketball Player of the Year award honors, there were many around the country who considered him to be the best player in the nation. As a senior at Brigham Young University, James Taft “Jimmer” Fredette essentially became a household name in the college basketball world, after winning the 2011 National Player of the Year award and leading all of NCAA Division I basketball in scoring. 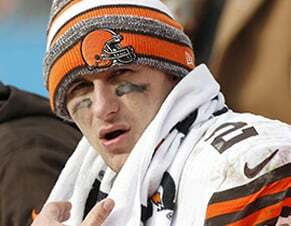 In fact, when he would have one of his many scoring outbursts, people would say that his opponents got “Jimmered.” He won countless awards that named him the best college basketball player in 2011, and won the 2011 Best Male College Athlete ESPY award. One of the crown jewels of John Calipari’s “one and done” factory at the University of Kentucky, Anthony Davis went from a 6’7 guard as a junior in high school to a 6’10 forward who could move like a guard but block shots like few players we’ve seen in college basketball history. Coming to Lexington as the #1 recruit in the country, analysts were in awe of Davis’ combination of skills, including being able to run the floor, score in the low post, face up to the basket, and shoot the ball from outside. In his one season at Kentucky, Davis led the Wildcats to a virtually inevitable National Championship run, averaging 15.2 points, 11.2 rebounds, and 4.6 blocks per game, and was named the NCAA Final Four Most Outstanding Player. Alfonso Clark “Trey” Burke III was named the 2011–12 Big Ten Co-Freshman of the Year, and was named to the 2011–12 All-Big Ten 2nd team during his freshman year at the University of Michigan. After leading the team in points, assists, steals and blocked shots that year, he followed his freshman season up with being named the Big 10 Conference Player of the Year, a First-Team All-American, and the recipient of the John R. Wooden Award. Burke and the Wolverines also advanced to the Finals of the 2013 NCAA Tournament, which they lost to the University of Louisville. Doug McDermott is one of the biggest reasons why “name brand” Division I basketball programs have stopped overlooking the so called “mid-major” basketball schools, and likely installed a healthy fear of the latter into the former. The Three-time consensus All-American at Creighton University, Fredette left the school having scored the fifth-most points in NCAA Division I basketball history, surpassing a guy named Larry Bird. “Dougie McBuckets,” as he was nicknamed for his scoring ability, was named the Consensus National College Player of the Year in 2014. A two-time First-Team All-Big 10 selection and Consensus First-Team All-American in 2015, center Frank Kaminsky was the foundational player for a University of Wisconsin team that advanced all the way to the final game of the 2015 NCAA Tournament, which they eventually lost to Duke University. “Frank The Tank” led the nation in Player Efficiency Rating (PER) that year, averaging 18.8 points and 8.2 rebounds per game, despite playing for one of the slowest-paced offenses in the entire nation. At season’s end, Kaminsky was named the Naismith College Player of the year, and the University of Wisconsin’s Male Athlete of the Year (a praiseworthy distinction at a football-crazy school). 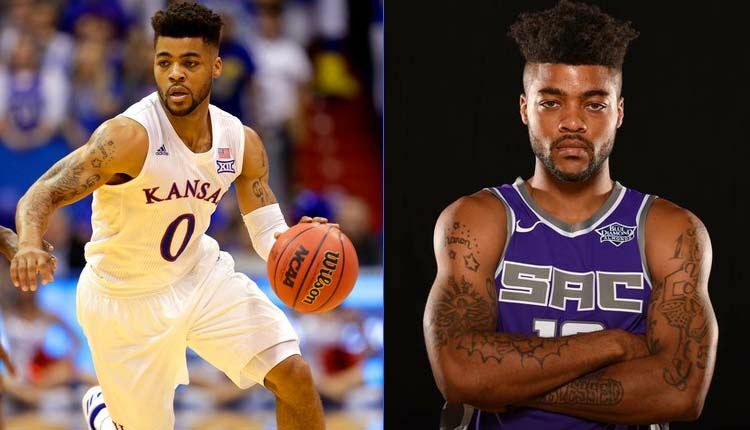 During his four years at the University of Kansas, guard Frank Mason III played alongside four different guys who were selected in the top half of the NBA Draft. But not one of those guys was as beloved by Kansas coach Bill Self, and none of those guys he played with can brag about the litany of awards that Mason received, including AP Player of the Year, Sporting News Player of the Year, USA Today Player of the Year, Oscar Robertson Award, Naismith Award, and NABC Player of the Year, all of which he received in 2017 after leading the Jayhawks to a Final Four appearance in that year’s NCAA Tournament.